EntraPass Security Software EntraPass is a robust suite of high performance software that allows customers to design & operate any number of doors where card access is required - securely, quickly & efficiently. 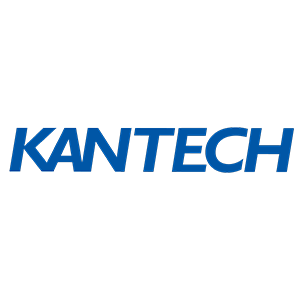 EntraPass is compatible with Kantech’s entire line of door controllers. EntraPass Corporate Edition Security Software EntraPass Corporate Edition is a multiple workstation software platform that offers the ultimate balance between power and affordability in a network environment. It offers the flexibility to securely connect controllers directly on the network, as well as over RS-485. EntraPass software is compatible with Kantech IP devices such as KT-400/ KT-1 controllers and Kantech IP Link (KT-IP) which all utilize highly secure 128-bit AES encryption to ensure communication is not compromised. The software integrates advanced security features such as EntraPass Go mobile app and EntraPass Web platform that deliver remote and convenient access to common access control, video and intrusion tasks and reporting. The enhanced user experience makes navigation and operation easy and intuitive. EntraPass Go Mobile App EntraPass Go allows you to remotely control your security system from anywhere without being tied to a workstation. EntraPass Go puts you in control of your security. It enables you to interact with EntraPass security management software using only a few taps on your mobile device. The easy-to-use mobile app offers anytime, anywhere real-time management of over 20 access control, video and intrusion tasks. Manage/create cards, lock/unlock doors, view live video, arm/disarm intrusion partitions, request reports and more. EntraPass Go is available for download on the App Store and Google Play.